Howard Zinn taught at Spelman College and Boston University where he had an extraordinary influence on his students’ understanding of history and their role in the world. 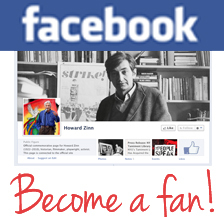 The “Howard Zinn: Our Favorite Teacher” series highlights Zinn’s lasting impact as a professor. David Detmer. Class of 1980. Boston University. I should point out that Howard Zinn was not my mentor. My field was (and is) philosophy; he was a historian. My experience with his teaching was limited to taking two classes from him. There were many other students with whom he worked more closely. Nonetheless, I was astonished by the degree of interest he seemed to take in my work, and the care with which he analyzed and critiqued it. Since many of Zinn’s critics accuse him of being a propagandist, I should also point out that all of the comments on Plato that he made during this conversation were directly responsive to my questions, or to points I was making, and all of them had the effect of deepening my grasp of Plato, and of helping me to strengthen the arguments I was developing (especially by calling to my attention considerations that I had overlooked). Once he had initiated the conversation, the entire remainder of its direction was determined by my concerns. I could not at the time, and still cannot in retrospect, detect any agenda on his part other than that of helping me. Moreover, now that I have read almost all of his published works (at the time I had read none of them), I can see in this conversation evidence that his intellectual curiosity—his reading, and learning, and thinking about things—extended far beyond the already wide domain of topics and figures that he addressed in his own projects. For, while he has written about Plato’s Crito in connection with his work on civil disobedience, I know of no significant engagement with the Republic in his published writings. On another occasion when I visited him at his office I was carrying a copy of the French philosopher Jean-Paul Sartre’s Critique de la raison dialectique, which had not yet been translated into English. To my amazement, he initiated a conversation about that as well, and showed himself to be quite familiar with its contents. When I complimented him for having read the book, he “confessed” that he had read only parts of it, and that his knowledge had been derived in part from reviews and commentaries. In any case, since Zinn has never written anything substantial on the Critique of Dialectical Reason (though occasional scattered references to Sartre can be found in some of his works), this incident suggests, once again, that he was a scholar who read widely, and on a great variety of subjects, so that both his teaching and his scholarship rested on a strong foundation of knowledge. In addition to this impressive knowledge base, and his extraordinary gift (acknowledged even by many of his harshest critics) for clear expression, perhaps the biggest factor leading to Zinn’s success as a teacher was his relaxed, friendly, good-humored, unthreatening manner. While he certainly offered a challenge to the beliefs of many of his students, which he accomplished by presenting ideas of deadly seriousness, he also did so with a light hand, and with plenty of wit and humor. He encouraged everyone, not only to participate in class discussions, but also to “challenge authority” by disagreeing with him. In my experience, those who did so were always treated with the utmost respect, and were never ridiculed, patronized, or scolded. His classes, though rich in content, were fun, and my sense was that nearly everyone in them, no matter what their political orientation, not only learned a lot, but also had a good time in doing so. 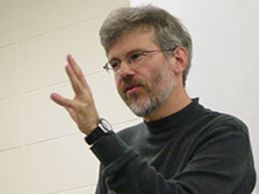 David Detmer is a professor of philosophy at Purdue University Northwest. Howard Zinn taught at Spelman College and Boston University where he had an extraordinary influence on his students’ understanding of history and their role in the world. This series highlights Zinn’s lasting impact as a professor. Read more stories and submit your own.